In today’s NHL rumor rundown, there are updates on the Vancouver Canucks, the Tampa Bay Lightning and Steve Yzerman, the Toronto organization and their coaches and Pete DeBoer and the Sharks. Loui Eriksson Gone After July 1? 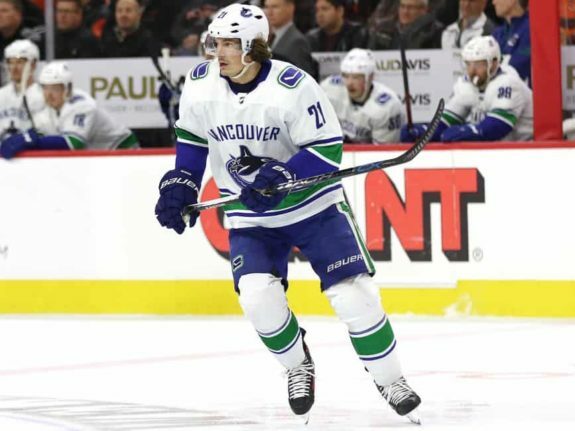 We reported the other day that after being a healthy scratch from the Canucks lineup, the team might look at options to move Loui Eriksson. The issue for Eriksson is his salary and lack of production. Iain MacIntyre wrote on Twitter that the Vancouver Canucks owe the forward a $4 million bonus on July 1st. Perhaps he’ll be easier to move after that bonus is paid out. After July 1, Eriksson is only owed $9 million over the final three years of his contract and that could be an attractive option for a team looking for a higher salary cap player with a lower payout required. If the Canucks chose to retain some salary, there might almost certainly be a buyer. MacIntyre also wrote Canucks GM Jim Benning did say that his plan is to speak with the rest of their staff to see where Eriksson fits in with their future plans. If the Canucks determine he’s not part of their future, they’ll need to chat with him and convince him to waive his full no-trade clause. Canucks Bringing in Jett Woo? Sticking with the Canucks, Sportsnet’s Rick Dhaliwal writes that the team is considering bringing in physical blueliner and prospect Jett Woo. The team has undergone positive talks with Woo’s representation after the he had a breakout season with the WHL’s Moose Jaw Warriors. Woo has scored 12 goals, 62 points and 63 penalty minutes in 61 games this season. Citing the video footage of the Saturday Headlines Segment, Mike Johnston of Sportsnet wrote Nick Kypreos said that Toronto Maple Leafs assistant coach D.J. Smith could get some interest from teams this offseason, including the Ottawa Senators. The Senators are looking for a new head coach after letting go of Guy Boucher. Kypreos said that Smith has been on the radar of other NHL teams before, having almost landed the job with the New York Islanders until Barry Trotz became available. Also with the Maple Leafs coaching staff, the organization is expected to extend AHL head coach Sheldon Keefe. While he might be worthy of an NHL position, the Maple Leafs want to keep him in the AHL and as such are prepared to make him the highest paid AHL coaches in history. The team would also have to include an out for him to take an NHL job if another organization came knocking. 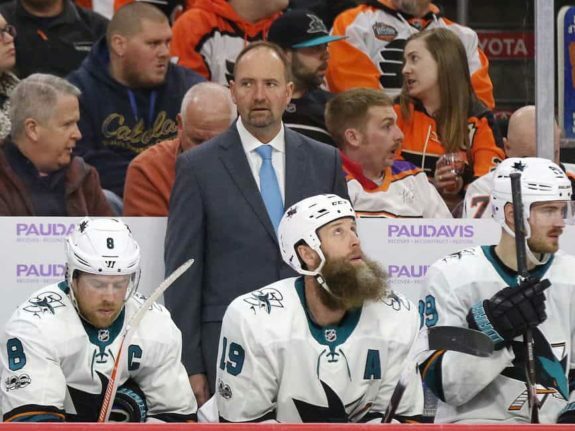 While his contract will be coming due at the end of this season, Kypreos also said that the San Jose Sharks are expected to sign head coach Pete DeBoer to a multi-year deal. Despite some key injuries, the San Jose Sharks have the second-best record in the Pacific Division and the second-best record in the Western Conference. His tenure with the Sharks wasn’t always secure but with the way the team is finishing the season — a 43-21-8 record, good enough for fourth best in the NHL — the Sharks have indicated their desire to keep him around, especially through what might be some bigger changes in personnel over the summer. 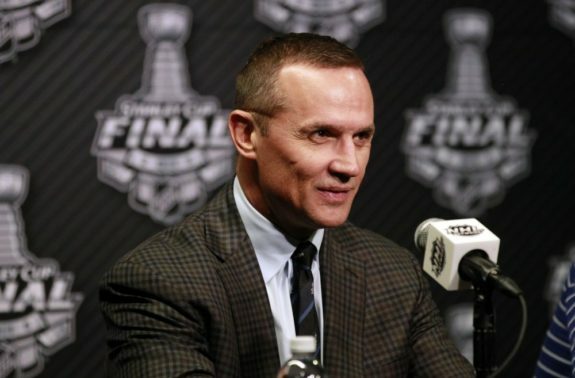 Joe Smith of The Athletic writes that the Tampa Bay Lightning going to let Steve Yzerman take the time he needs to make a decision regarding his future with the organization. The expectation seems to be that Yzerman will wind up in Detroit and as their new GM (replacing Ken Holland). That said, while Detroit seems to be the favorite, the Edmonton Oilers and Seattle expansion franchise would be interested.